"This tiny board lets you add a MIDI port to just about anything. * Board dimensions: 1.04" x .4"
* Includes 2.5mm phone jack for mounting in small devices"
via Deviant Synth. 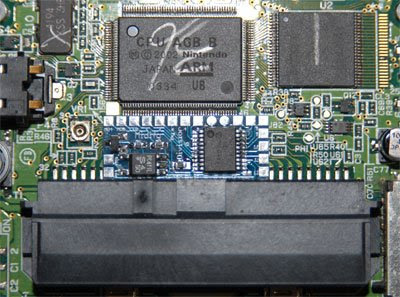 The MIDIFY board is the small blue board in this image. Click on the Division 6 label link below for prior posts including video including one of a microwave oven being controlled by a MIDI keyboard.